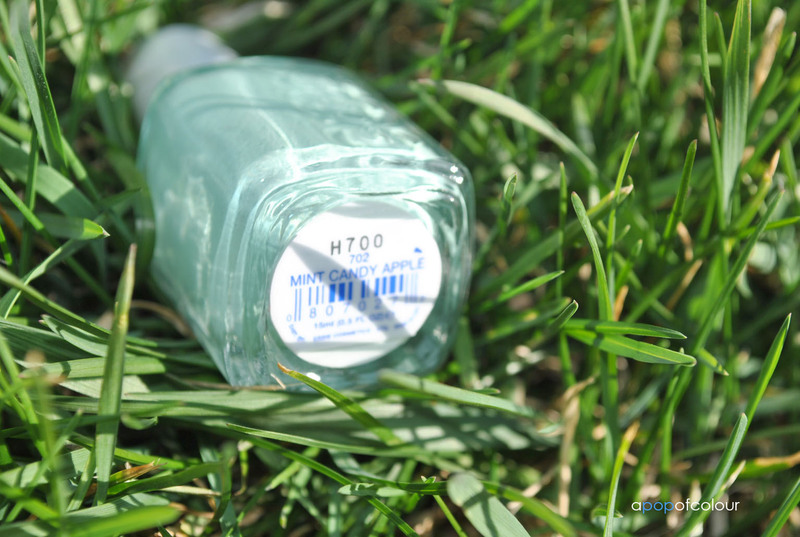 Mint green was a super hot trend last summer, with basically every nail polish company promoting a shade. I didn’t get a chance to pick one up but it’s been on my list for a while. I attended a beauty trade show a couple of weeks ago and Essie had a booth there so naturally I was attracted to it like a fly on light. I was actually eyeing this shade before I went to the booth and when I talked with a rep she said that Mint Candy Apple is the most popular colour right now. That pretty much sealed the deal, so I picked up a bottle. Mint Candy Apple is more vibrant than Essie’s Absolutely Shore, but not as blue-toned as China Glaze’s Aquadelic. It’s also not as turquoise as Essie’s Turquoise and Caicos. The polish applies quite streaky but I got it pretty opaque after two coats. It also has lasted me a few days before some minimal chipping. As always, I used Seche Vite base coat with OPI Top Coat. If you are in the market for a mint green, I would definitely recommend this one. I personally haven’t seen it in stores so I’m not sure if consumers can still pick it up. My bottle of this polish was different from the other Essie bottles I own, maybe because this one is for salon use? I did buy it directly from the distributor. If you can’t find it in stores, maybe try a salon that uses Essie, you might find it there. 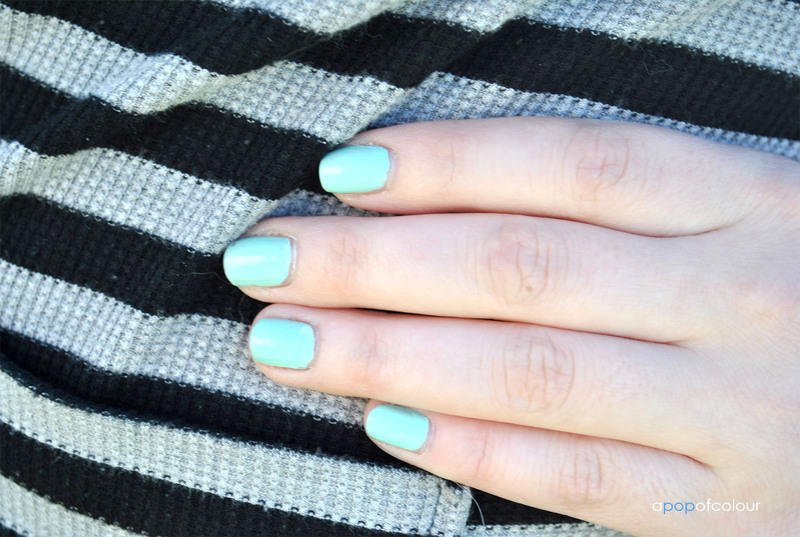 Have you tried Essie’s Mint Candy Apple? What were your thoughts?